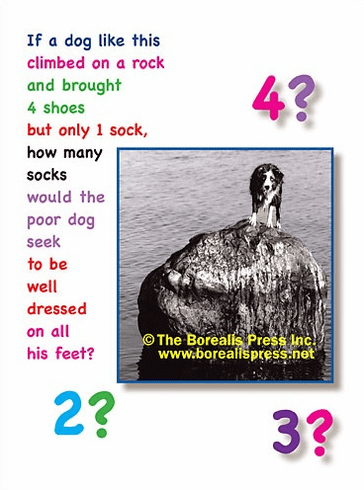 Outside: If a dog like this climbed on a rock and brought 4 shoes but only 1 sock, how many socks would the poor dog seek to be well dress on all his feet? Inside: Blank. Borealis Press card measures 5 x 7 inches. Includes envelope.